Supernova January 2012, in M95. 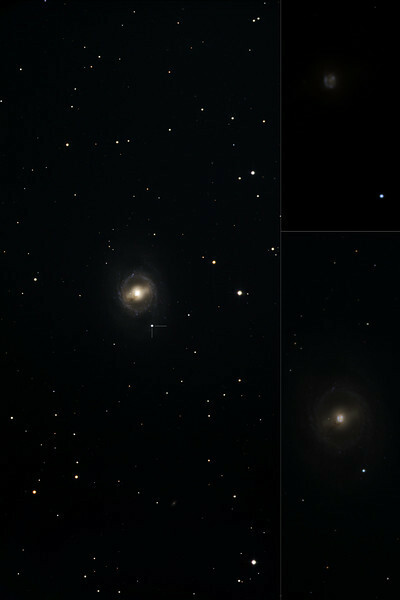 The raw image in the top right panel shows how the supernova is blue and bright, with a brightness of the order of that of the nucleus of the galaxy. The left panel shows a more conventional view, stretched to show details of the face-on spiral. Such a conventional view loses the extraordinary relative brightness and blueness of the supernova. STL11000M on 20" PlaneWave CDK on modified MI-750 fork. All software, firmware, and electronics is my own design and build.